Thanks to all of you who came out last night to celebrate Morgan's 25th Birthday. Here's the secret carrot cake I ended up baking. I was inspired by the recent cake toppers featured on 100 Layer Cake. Because I was in such a rush to bake it, frost it, and take it to the restaurant all before Morgan came home, I cautioned our guests to watch for rogue tooth picks and sandy egg shells. Luckily, there were no complaints. 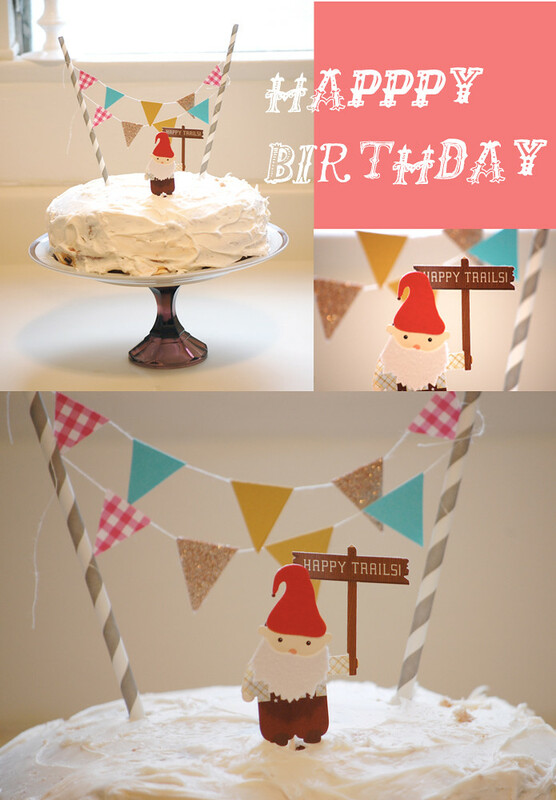 The little banners were super easy to make and the little gnome is actually a scrap booking sticker.